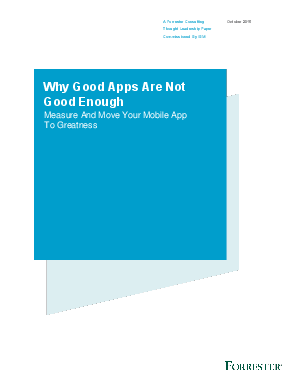 Delivering great apps rather than simply good apps offers significant, long-term benefits in customer loyalty and spend. With companies competing for customers’ precious mobile moments, the opportunity is ripe to meet and exceed customer expectations, and reap the financial rewards. What elevates a good, serviceable, and even profitable app into the realm of great? And if a mobile app achieves greatness, what is the impact?